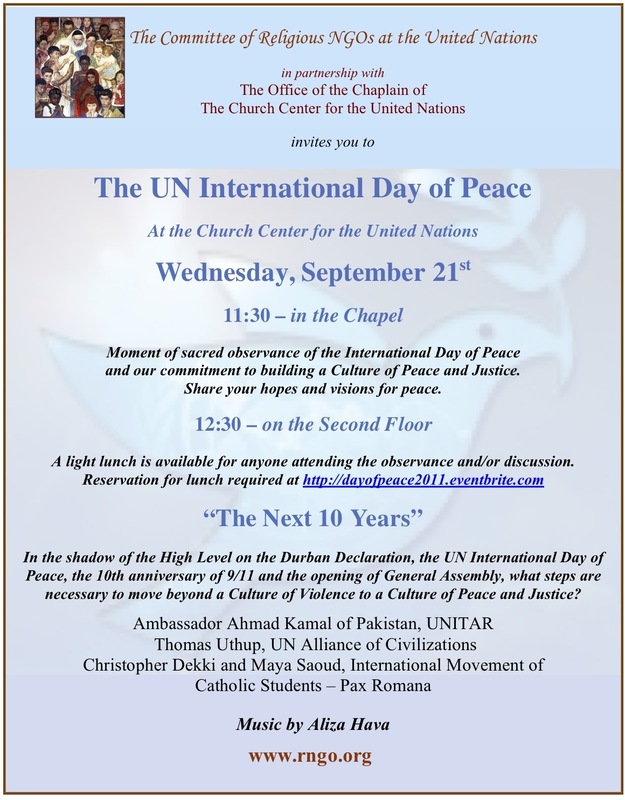 The International Day of Peace was observed in partnership with the Office of the Chaplain at the Church Center for the United Nations. Sept 21 opened with an observance in the Chapel with music by Aliza Hava and prayers from different traditions. Everyone had the opportunity to pray for the nations of the world and add their personal hopes for peace. This was followed by a light lunch and panel discussion on the second floor of the Church Center. The panel was titled, The Next Ten Years, and how to change from a culture of violence to a culture of peace. Amb. Ahmad Kamal of Pakistan, who now serves as Senior Fellow at UN Institute of Training and Research (UNITAR), shared some powerful thoughts about where we are now and what is needed. 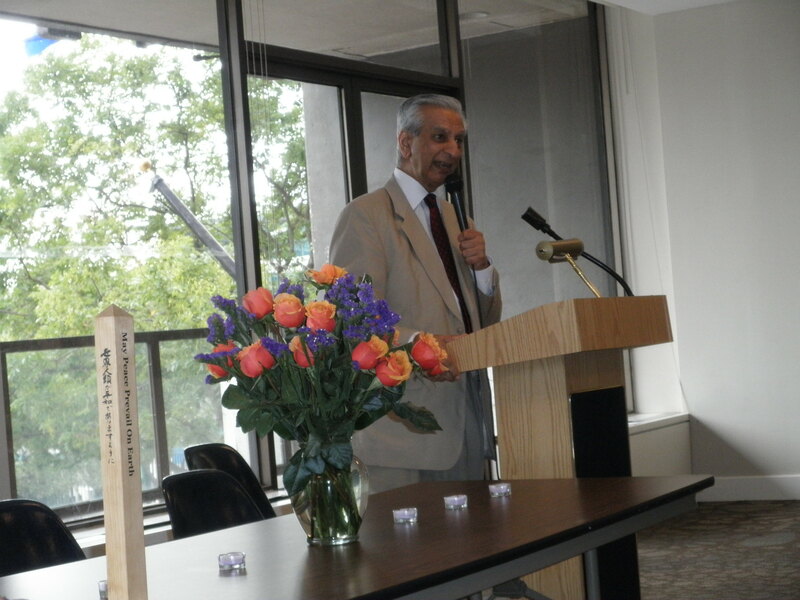 He talked about how public service was not about money in the past and how it was such a part of his family tradition. He shared some thoughts on how money has changed things, including economics, where money used to measure production not wealth. He shared that the poverty ratio between rich and poor is increasing, and looking at how NGOs and the UN operate more on talk than on actions – and how the doors to the UN literally closed to the NGOs over the years. His vision challenged and informed us. Next was Thomas Uthup, Research and Education Manager of the Alliance for Civilizations. He shared research he did on UN Days and suggested that RNGOs consider using annual, monthly themes so that in ten years’ time, we would be able to share a body of work on specific issues. The young voices of Christopher Dekki and Maya Saoud from IMCS International Movement for Catholic Students, IMCS- Pax Romana offered ideas, and shared hope and success storiesand that NGOs are action-oriented and not just talking about issues. They shared actions and hopes and encouraged us to involve youth from our organizations in the planning and in the activities at the UN.